We offer Valet and we have parking garage for guests to park themselves. 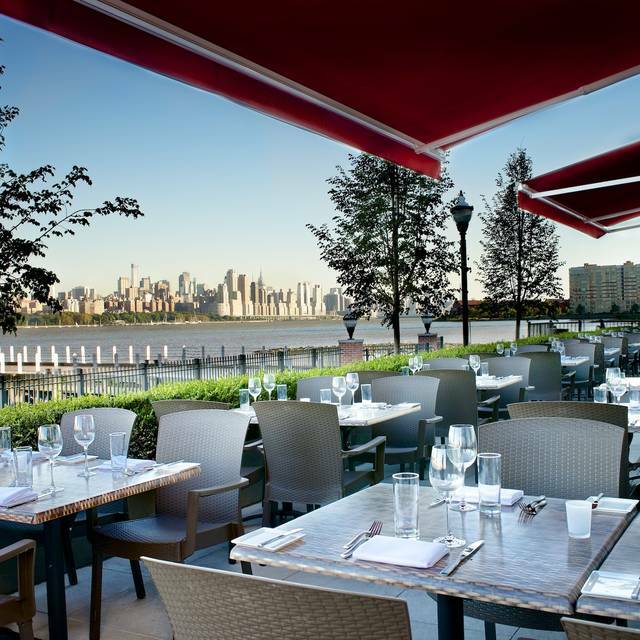 Rated "Very Good" by the NY Times, located on the banks of the Hudson River in Edgewater, with a breathtaking view of the Manhattan skyline, HAVEN offers New Modern American cuisine to be savored in it's relaxing lounge, bar, dining room or outdoor terrace. Serving lunch, brunch and dinner. 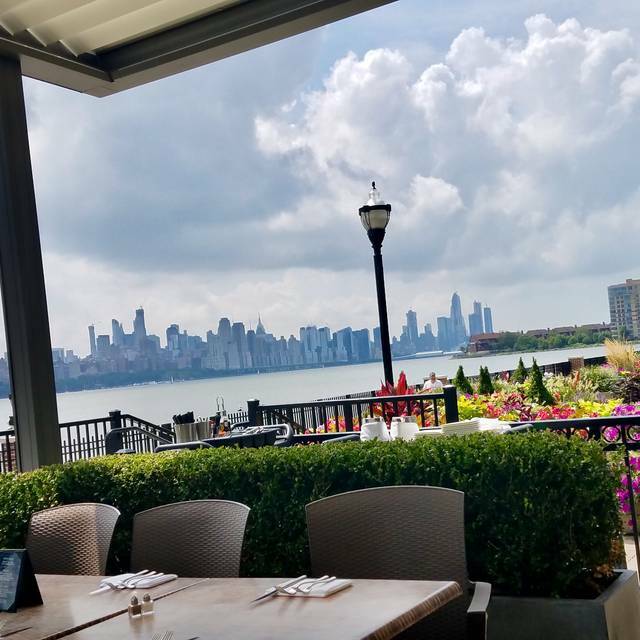 HAVEN offers a sunset 3 course prix fixe menu Mon-Fri 5pm-7pm, Happy Hour Mon-Fri 5pm-8pm and a brunch prix fixe Sat-Sun 11am-2:30pm which includes one brunch item and two mimosa's, two bellini's or two bloody mary's. Celebrate Easter Sunday at HAVEN! 3 Course Dinner Prix Fixe Menu. $70 per person. Served from 11:30am to 9pm. Pleasant experience, good food and good service. Beautiful views of Manhattan, too. Well worth it! I went there to celebrate my wife's birthday, she loves new restaurants, her rule is to go once unless it's very good to her. I must say she was impressed and we will be coming back again real soon. We are from PA. It was worth the trip. Amazing food. Amazing drinks. We sat outside and the weather was beautiful. Gorgeous views and perfect ambiance. One of our all time favorite places to eat. It was fantastic! A perfect night for a date night. 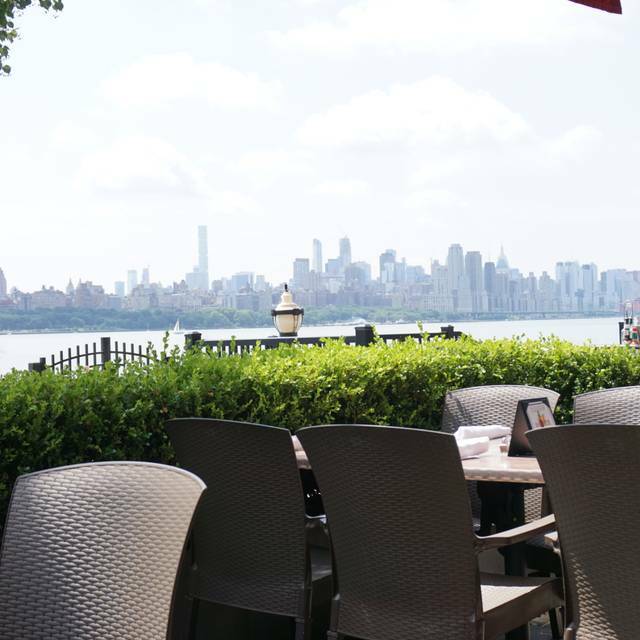 The weather was perfect for outside dining with a magnificent view of NYC. The service was outstanding and the food was amazing. Views were spectacular, service was attentive and the atmosphere was comfortable. Must say the food was average. 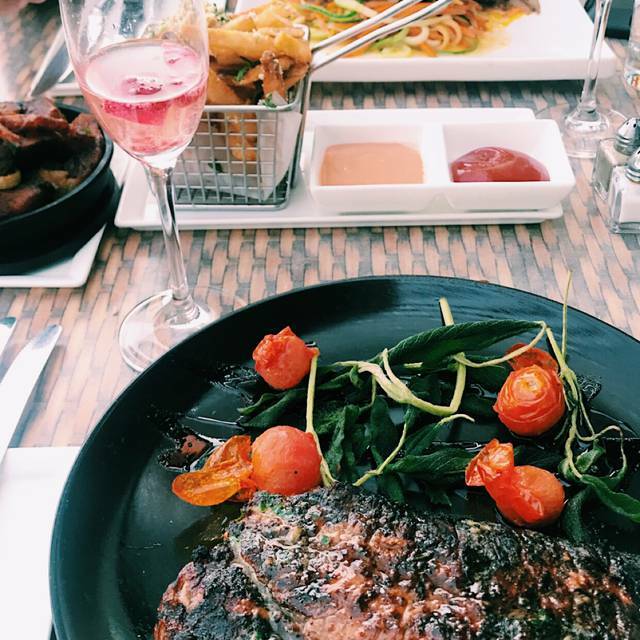 Great food and trendy spot with great views. Our steaks came way over cooked. The manager immediately without hesitation had the kitchen re fire is new ones and made good on the bill. That was classy and appropriate. Regardless, the food was very tasty and I would return. 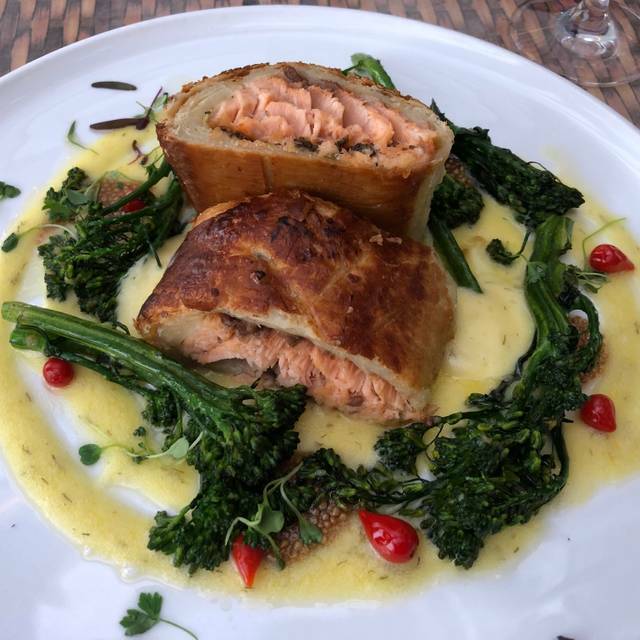 Service was outstanding - server was attentive without hovering and was very accommodating and friendly! Food was good -- appetizers were excellent, steak was just ok--a bit dry even though cooked medium, brussel sprouts-very good, and the churro dessert was just ok. The ambiance and water views were breaktaking. I would return for small plates. This place is amazing! Service was very good. The only thing was the lighting it was dim which would be very good if you’re on a date! I would Definitely recommend this place to people. WOW!!!!! HAVEN was absolutely incredible!! The waitress and hostesses were all SOO sweet and the food was amazing! The Carolina wings were the Best wings we ever had! We went to celebrate my husbands birthday and decided to just do the happy hour menu...it was all so good! Spicy margaritas were great too! 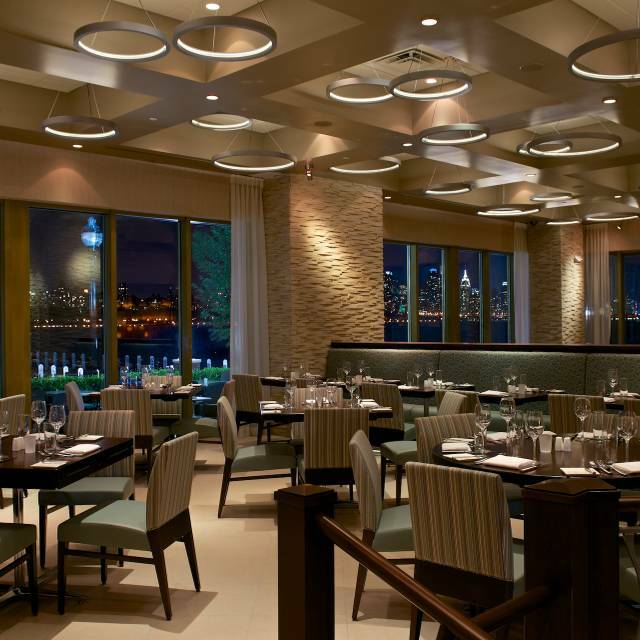 The restaurant has a gorgeous view of the NYC skyline and the water. We didnt want to leave! We cannot wait to return!! Great view of the Hudson and NYC. An alternative to going into NYC for lunch. Great experience! Waiter was phenomenal! 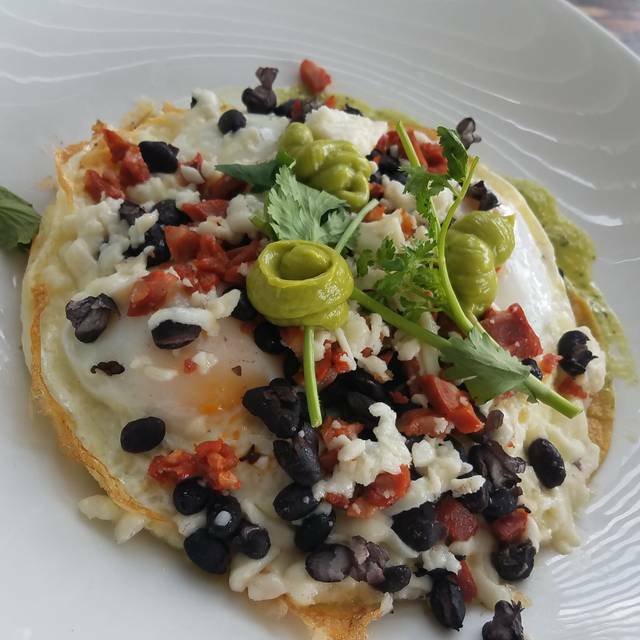 Came here for brunch with my girlfriends, very chill vibe and amazing food! Brunch menu was small but interesting and we all tried different items and we all loved what we had. We even ordered several of the dm desserts which were also unique and tasted amazing (chocolate croissant bread pudding-wow i!) Even better was that we were not rushed at all. Will be going back! I took my boyfriend out his birthday here. It was our first time. We had a beautiful time. Even though the menu is pricey, it was a nice experience. The food was tasty and the drinks were poured just right :). Then we took a stroll outside the restaurant overlooking the beautiful nyc view. The ambiance was amazing with nice decor and dim lighting. We will definitely be back :). Saturday, 12.30pm sitting but they only had Brunch menu available. Not a big fan of only Brunch when hosting my inlaws who have breakfast at 6am. Great service, skirt steak was nice and juicy. Nice dark ambiance. Had a very pleasant lunch. Our food was delicious. The server was very nice, helpful and professional. He didn’t rush us to order and gave us our space for chatting. Looking at the water view was very peaceful. My friend said it was an excellent choice. I took my wife’s for her 40th birthday. It was an amazing experience from the moment we walked in. The waiter was attentive and amazing. The view was remarkable. Overall perfect experience. Excellent Customer Service from the host to the crew. The best Culinary Experience Ever.. Menu is just perfect!!! Cheff Stafff are 100% committed to Service.. I recommend this place No doubt we will visit the restaurant on our Next NY trip!! 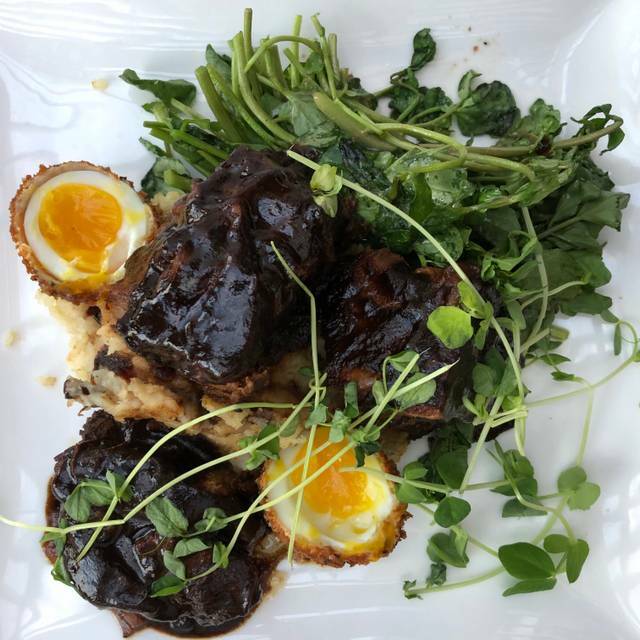 HAVEN has it all - great food, creative cocktails, beautiful views, indoor/outdoor seating (weather permitting), welcoming greeters/seaters, friendly and efficient servers, and even the busboys (they're grown men, not boys) and valet are charming! Great time at Haven. Food was amazing and our server was awesome. She had great humor and personality about her. It was a quiet Tuesday night, but the service was on point the whole evening. THE HAVEN never disappoints. Meals are delicious (try the veggie burger at lunch, which comes topped with a fried egg! ); service is attentive; and the view is divine. I read reviews about this place which is what brought me to here . The waiter was very polite but defiantly didn’t know his job 100% I ordered oysters and fried calamari the oysters were filled with flavor very fresh. The fired calamari I wouldn’t know because I never received it I asked the waiter and he said he forgot to put the order in the manager came and said she can send it with my dinner but who wants to eat appetizers with their entrees Then I ordered a 10 ounce steak. I was told later on that they ran out of 10 ounce steak and they can only serve me a 7 ounce steak. The manager came over and said they have been out of the 10 ounce all day and the waiter should have told me (he did not ) so I recommended that they can cut another 7 ounce steak and make it a 10 ounce they weren’t to happy about that but they made it happen after going back and fourth a few times to the kitchen. What I don’t understand is when you have (fresh) steak how do you run out of different portion sizes ? Is it pre cooked ? Something didn’t make sense but I do have to say the desert was compted. Still don’t think that was enough personally. And let’s not forget for 2 people no alcohol my bill was over $200 I will not be back based my first experience unfortunately great atmosphere good food but poor service and management I expected top quality service from a (top quality place ) but as everyone knows bad service gives you a bad taste in your mouth so makes the food not the best either way. The room was beautiful, the wait staff was great. I ordered 2 apps: the scallops and the Octopus. Wasn't super impressed with the food quality, but wasn't necessarily disappointed. My friend ordered the shrimp salad and loved it! Came for my girlfriend's birthday and requested a seat with a view. They accommodated us wonderfully and the food was delicious. Though noise level does go up with a more full dining room, however this is easy to overlook due to everything else. I celebrated my birthday and it was one of the best! 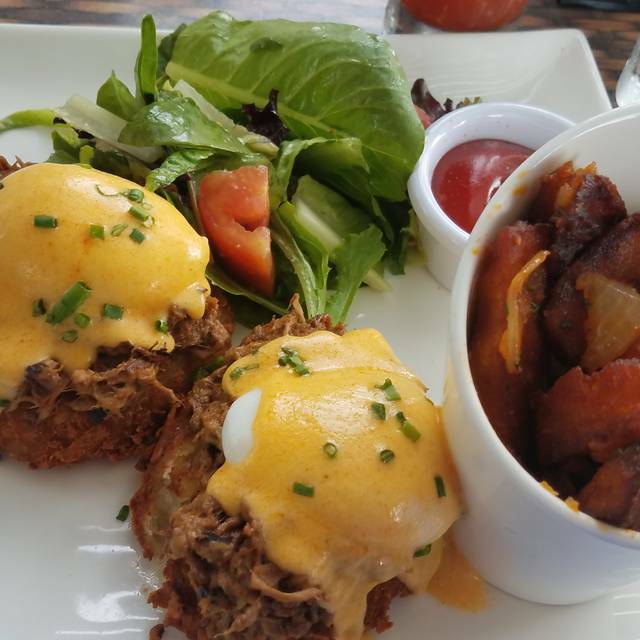 The staff was so friendly and accommodating, and the food was top-notch! Of course the view is amazing. Overall I absolutely loved Haven and will never hesitate to go back. It's my second visit. The other was in Summer. Thank you for a wonderful night!!! Food and view were great. Service could've been better. Food was amazing for the price! The ambience and the view was incredible. Our waitress was super nice and freindly and took care of us, made sure we had eveything. Will defiantly go again!!! This place is very gorgeous, view and rest amazing. Overall great experience , definitely would come back. Music is a little loud and there isn't a lot of solo tables (a lot of half booth half chair) but food and environment was amazing and the view is outstanding. Had the lamb which was delicious, although I have had better risotto. S/o had delicious steak. Brownie for dessert, brownie wasn't the best ever but gelato was delicious. Will definitely return.